I have absolutely fallen in love with everything Tea Forté, being a tea connoisseur of note, along with my cat Beatrix (although the Tea Forté people would be upset if they knew we steeped our tea for 10 minutes in my vlog review). The website has a wonderful layout and I found it quite easy to navigate, as everything is categorized. My next try will be Dolce Vita dessert collection in savoury sweets! I really want to try the flavour Belgian mint, which is a mixture of chocolate and mint (obviously) . They have so many choices and a lot of tastes I've never tried. 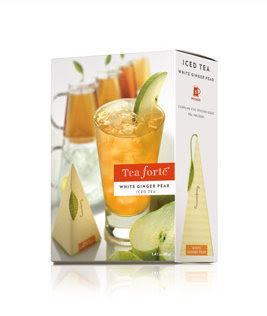 As I said in the video, I can't wait to try their ice teas in the summer! I also want their nifty ice tea container. You can order everything online, so it is highly attainable everywhere! You'll love these zen-like tea bags and the good feeling they bring to your allround well-being. I do love a good tea, i will have to see if i can find it. maybe I can send you some at a very inflated price too! I've had those... good stuff! You're funny.